Add the image (.png) file to the project. Set the Build Action to Content. 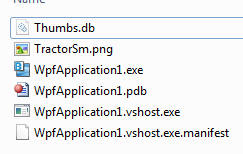 The image resource won’t be embedded in the .exe file, but the project will know where to find the file. Also set the Copy to Output Directory field, so that the file is copied. Use the plain filename as the Source. Distribute the image file along with the executable. 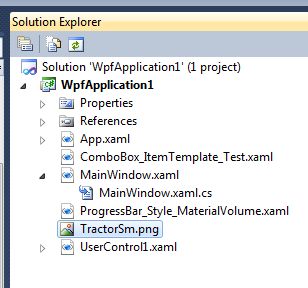 (When you build the project, the file will be automatically copied to the output directory).